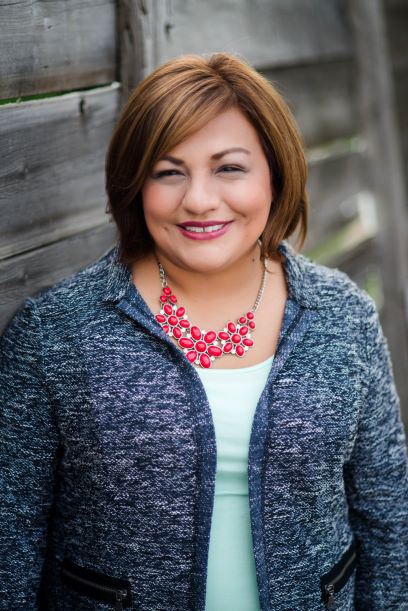 Rosa Guzman-Snyder, who formerly worked on behalf of the National Center for Families Learning through its Toyota Family Literacy Program in Pueblo, Colorado, has recently joined the nonprofit organization as its Community Development Director at its headquarters in Louisville, Kentucky. The National Center for Families Learning is proud to welcome back Rosa into its fold. Rosa’s previous experience implementing the NCFL Family Learning model combined with her unique exposure to social injustice make her a valuable asset as NCFL moves forward in working to eradicate poverty through education solutions. For Rosa, social injustice has always been evident. Born in the border town of El Paso, Texas as the youngest of four, she observed daily the struggles of immigrants crossing into the U.S. in hopes of making a new life. Her father served as the pastor of a nearby church, and it was not uncommon for him to invite immigrants into the family home. “I don’t remember a time that our home was occupied by just our immediate family for more than a week at a time,” Rosa recalled. As these individuals passed through, Rosa and her family observed the hardships that so many had endured. Wage theft, discrimination, and overall violence were communal experiences of these passersby. Throughout this time, both of Rosa’s parents struggled to make a good life for their children. Rosa’s mother decided to enroll herself and her daughter in a Headstart program, where both received an education. Her mother ultimately earned her GED, eventually going on to become a community/parent liaison for Denver Public Schools. Her efforts inspired Rosa to take her education seriously as well, and she eventually graduated with a Bachelor of Arts in Spanish and Nonprofit Administration from Colorado State University-Pueblo and a Master of Public Administration from the University of Texas at Arlington. Armed with her education and the insight into the world of social injustice she gained from her childhood, Rosa began working for Pueblo City Schools, located 100 miles south of Denver, Colorado. There, Rosa began implementing Family Literacy programs through the National Center for Families Learning. Eventually, Rosa took another step on her path to fight injustice and co-founded the Community Language Cooperative (CLC) along with her sister in 2013. The Denver-based CLC works to promote language justice in a variety of capacities; it has created a training model where non-profits, city agencies, and other organizations learn how to best serve linguistically diverse communities by creating language-neutral spaces. Since its inception, CLC has grown to include 17 translators among 10 different languages. In June 2018, Rosa returned to NCFL – this time at the nonprofit organization’s headquarters in Louisville. She now serves as NCFL’s Community Development Director, where she initiates and develops community support at NCFL’s major project sites across the country. Rosa’s work has taken her back to the state where her journey began. She is currently working in Dallas, Texas with parents, educators, and other nonprofit organizations to develop parent leadership skills as well as a strategic literacy plan for the city. Ultimately, NCFL will award three $135,000 grants to organizations to implement NCFL’s Family Literacy programs in the area. Rosa’s background allows her to relate in a very true way to the communities she serves. At the same time, she stands as a shining example of the dynamic structure of NCFL. At one time a site worker implementing the NCFL model, Rosa now works to develop that model, sharing it with today’s site agents across the country. The National Center for Families Learning (NCFL) is a national nonprofit organization that works to eradicate poverty through education solutions for families. Partnering with educators, literacy advocates, and policymakers, NCFL develops and provides programming, professional development, and resources from the classroom to the community that empower and raise families to achieve their potential. For more information on NCFL visit familieslearning.org.